Last night we held a Geeknight and cobbled together some IR pens to work the magic of the Wii-Board (fashioning interactive whiteboards for the cost of a Nintendo Wii-mote). We gutted an Expo marker and filled it with parts from Radio Shack ($10 total). They're also available for sale for that price--pre-assemebled--online. One remarkable thing we discovered is the burgeoning community of Wii-board fans that have begun to produce IR pens and other gadgets to help teachers make Wii-boards. One great resource is http://www.wiimoteproject.com/. 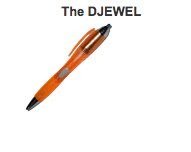 Today I went to http://www.irpens.co.uk/store.htm and bought 2 of the DJewel pens (because you can go manual button or pressure tip, and that's worth the extra couple of bucks to me). 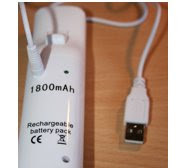 I also bought the rechargable battery pack from them so that I can just keep it plugged into USB and not burn through batteries, and to provide the constant USB power I bought a wall AC/USB adapter (I'll put a shopping list at the bottom). With all the extra hardware and a $35 Wiimote from Walmart, my total cost per setup is less than $65. We haven't found yet the beautiful solution for mounting them (more on mounting them in a second), but that will add a bit. Getting them to work with the Bluetooth on our laptops was not too bad for the Windows machines and super-easy for the Macs. Though there is a for-cost solution called Smoothboard, the downloads that seemed to work best are free. For the PC this was the best: http://www.uweschmidt.org/files/WiimoteWhiteboard.zip and the download that worked so excellently for the Mac was this one: http://www.uweschmidt.org/files/WiimoteWhiteboard.dmg. 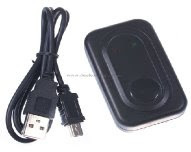 This software provides all the necessary drivers, picks up any "findable" Wiimotes (make them findable by holding both buttons 1 and 2), and calibrates the Wiimote (or multiple Wiimotes) to the projection surface. Basically, once you've activated the software, you have a new mouse ready to give input to the application of your choice--I enjoyed fooling around with a wall-sized Google Earth. It is very possible to mount a single Wiimote and have it track your IR pen's movement, but if the pen ever blocks the line of sight to the Wiimote, that breaks the mouse's movement. We had stellar results when we coordinated 2 Wiimotes at the same projection screen (mounted above and to each side at about 45 degrees). 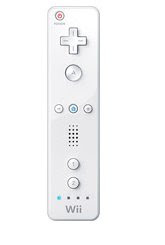 In my classroom, this would be a Wiimote on each wall, at ceiling height, set about 8 feet back from the plane of the front projection screen. If you buy a second pen with the second setup, you're still only in $130 into the project. I teach in a middle school, and I just have a suspicion that having identifiable Wiimotes on my walls would make them a theft target. So I'm looking for wall or ceiling mounting ideas that will also conceal the handheld units! Very exciting stuff! Fun to play with, and potentially a game-changer for the classroom.